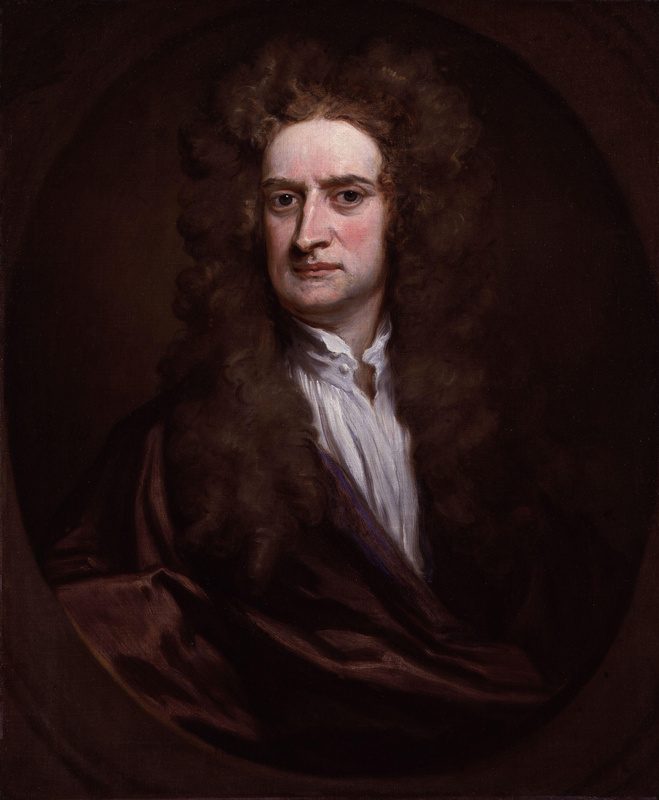 In addition to Isaac Newton’s work in mathematics and physics, he conducted a large amount of work in alchemy. 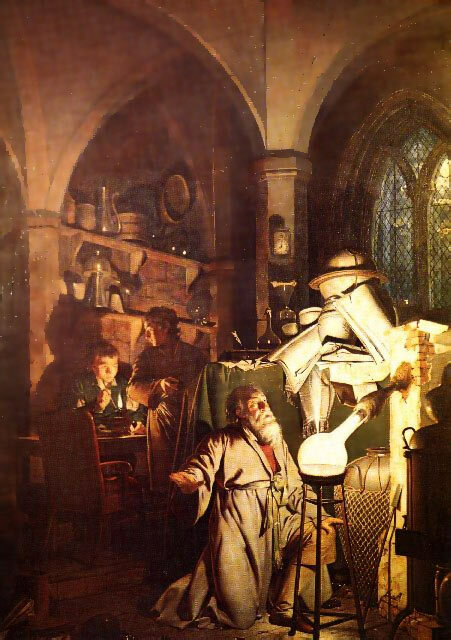 Many historians believe that he spent more time completing alchemical experiments than he did on all of the science for which he is famous today. An important player in developing the alchemical view of matter was a 13th century writer and experimentalist called Geber. The name seems to be a pseudonym and is apparently a Latinized version of the name of an 8th century scientist, Jābir ibn Hayyān. Geber’s identity is still somewhat disputed, but evidence is pointing toward a Franciscan monk from southern Italy. 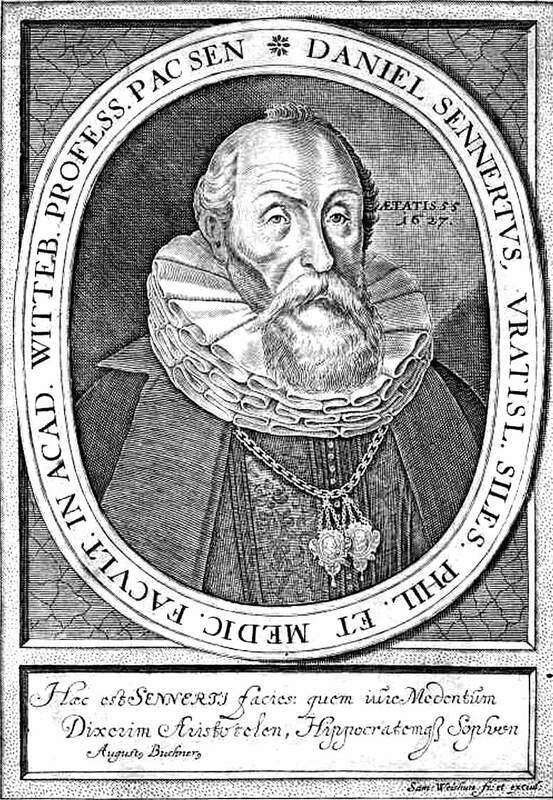 More important than his identity, Geber developed a corpuscular theory of matter which became the foundation for much of alchemy. Closer to Newton’s time a German professor, Daniel Sennert, performed a critical experiment. Sennert dissolved precious metal in acids. The solution which he obtained did not look at all like the metal. In fact, any observer could conclude that the resulting liquid had no metal in it. Prior to Sennert’s experiments most people would conclude that the metal had disappeared. But Sennert then used chemicals to precipitate the original metal out of the solution. A sensible conclusion was that the metal was in the somehow in the solution even though it was not visible. These types of experiments led Sennert to build on Geber’s ideas for a corpuscular model for matter. Sennert’s experiments had a profound influence on Robert Boyle, who is commonly considered the father of modern chemistry. In Atoms and Alchemy, William Newman states that Boyle “borrowed” Sennert’s ideas “almost verbatim” in his first paper on atomism. Likewise, historians in recent years have seen much similarity between some of Sennert’s ideas and some of Newton’s. For example, Sennert’s models include attraction between corpuscles with different affinities for different substances. So does Newton’s. How much influence the alchemists had on Newton and his ideas about matter are still being sorted out. Newton read much about alchemy. He wrote many documents about his experiments but did not publish them. Some historians estimated that Newton’s writings on alchemy exceed a million words. So he clearly was aware of the alchemistic viewpoint. And at this time, the alchemists had developed a well-founded corpuscular model of matter. This work plus that of Newton and Boyle put the concept of small units of matter which make up everything on rather firm footing. Independent of what influenced Newton’s and Boyle’s view of matter, the time after their discoveries began some fast moving changes in humankind’s understanding of the objects that we cannot see. More on that next time.